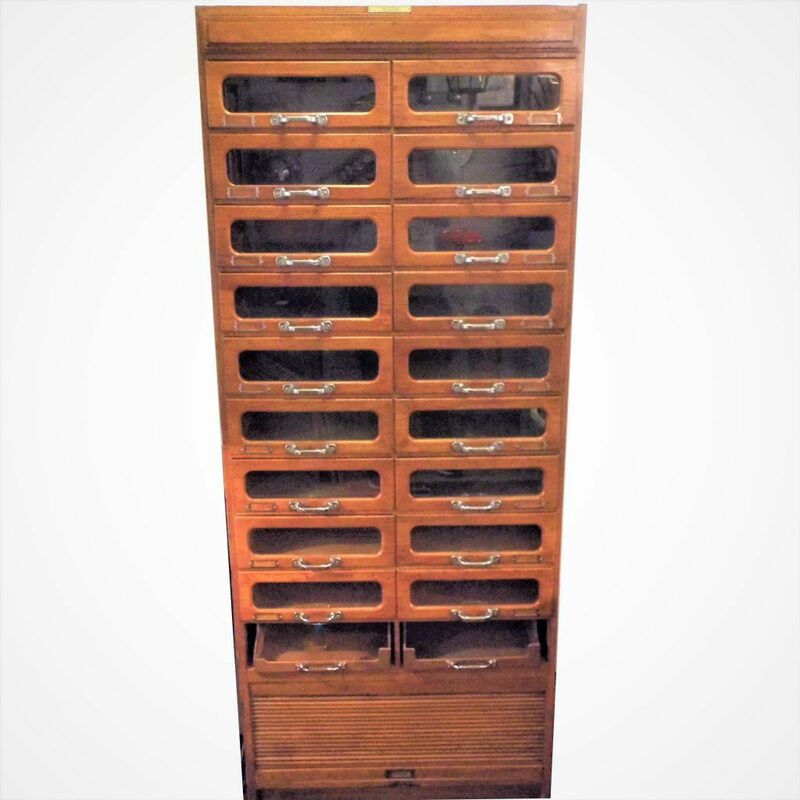 A 1930’s golden oak Vintage Haberdashers Cabinet . 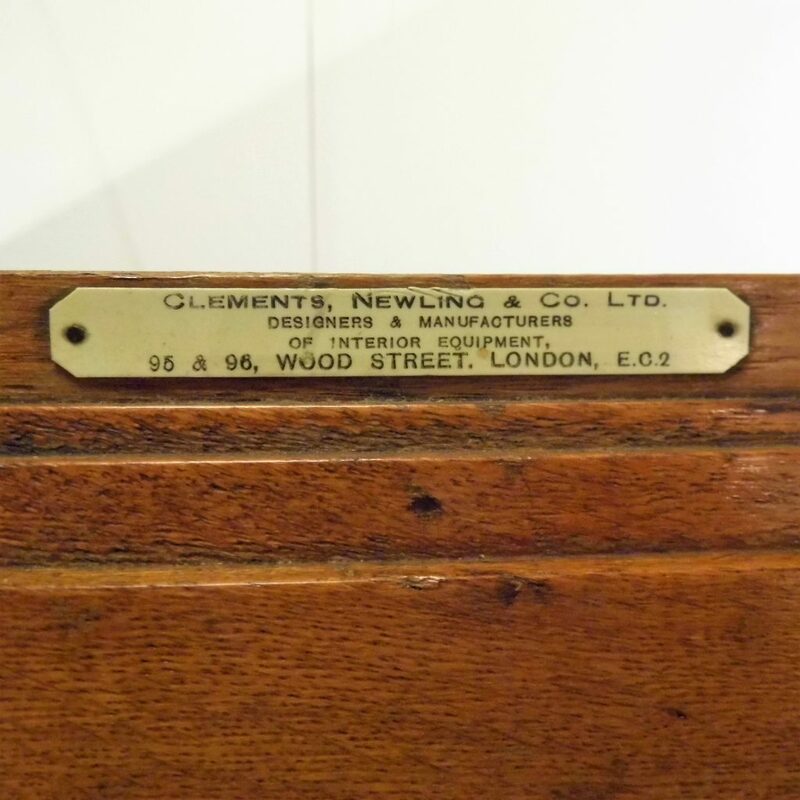 A tall and elegant Haberdashery cabinet bearing the makers label of Clements, Newling and Co Ltd of Wood Street London E.C.2. 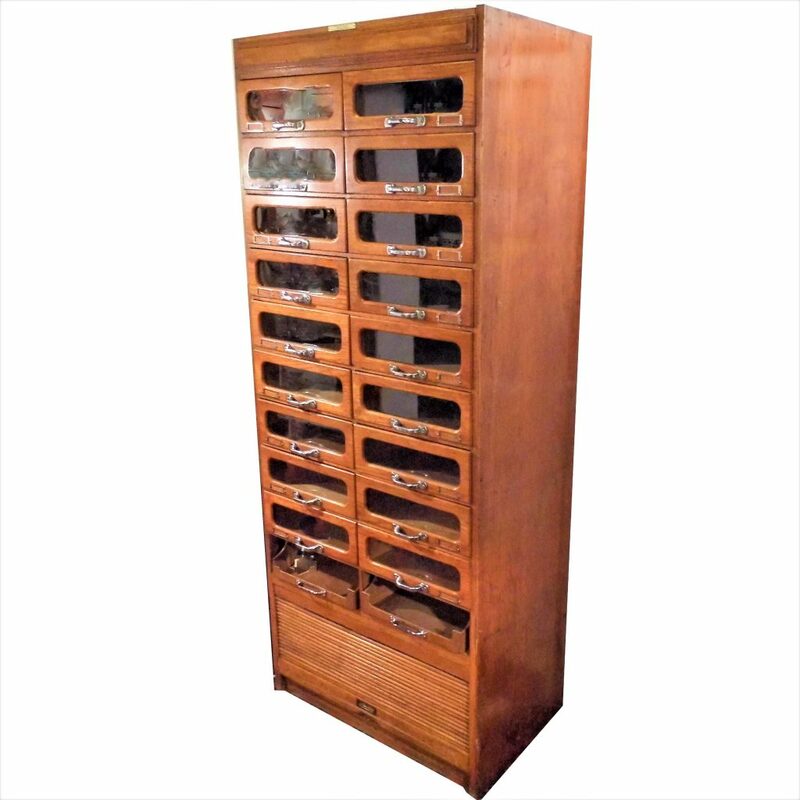 It has 18 drawers with glazed windows 2 pull out trays and a lift up tabor fronted cupboard at the base. This piece has some nice Art Deco detailing such a the large chrome handles, stepped detailing to the top and the curved ends of door glazing. The original stained pine sides (many of these cabinets have later side as they were in built) have quite a lot of wear and tear however the oak drawers and fronts are in excellent condition in particular the drawers liners.